Martin Padgett March 30, 2018 Comment Now! 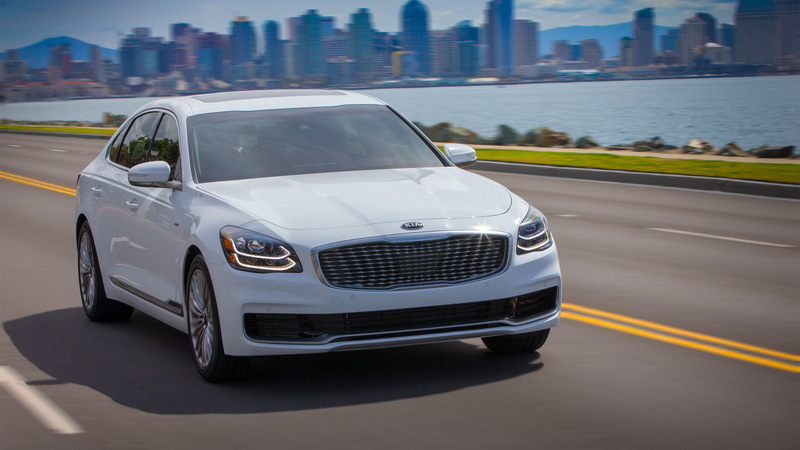 Now it’s applied those lessons learned, as it revamps its most expensive model, the 2019 Kia K900. The new K900 strips away some of the formal lines and looks of the past. It’s a little wider and longer than the car it replaces, and it goes out of its way to distance itself from the closely related Genesis G90 sedan. It’s spare, clean, and if we’re honest, it’s a lot more like the plain-looking Cadenza than it is the Stinger. Inside, the K900 takes wing. Beautifully stitched door panels enclose passengers in a cabin with ash or walnut trim, big and wide high-definition touchscreens, and soft leather. 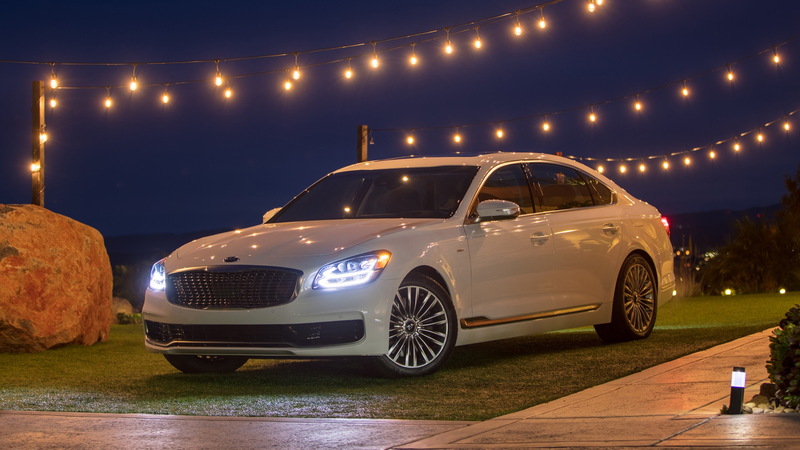 Ambient lighting washes over the cabin, and makes the K900’s dash-mounted analog clock glow. 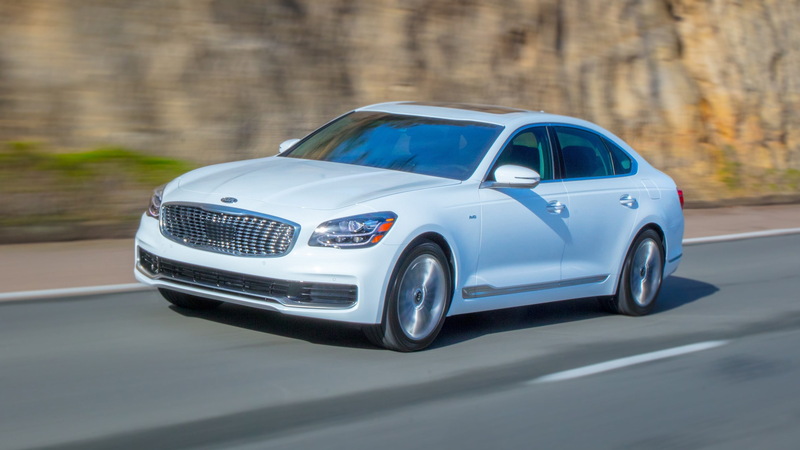 On the performance front, the K900 lifts the Stinger’s 3.3-liter twin-turbo V-6 and couples it with an 8-speed automatic and standard torque-vectoring all-wheel drive. 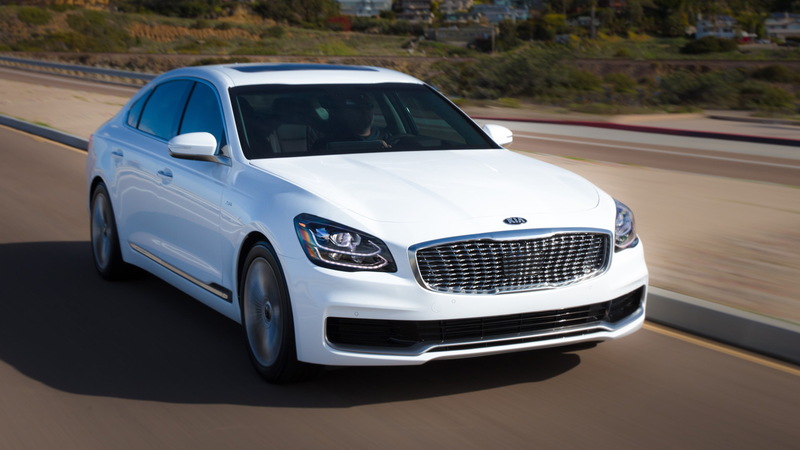 With 365 horsepower, the K900 should be able to reach 60 mph in about six seconds. A stiffer body and longer wheelbase should give the K900 a more buttery ride, and this time Kia fits some K900s with adaptive shocks for more controlled handling. Not that the passengers will care much. The K900 screams luxury, from its heated and cooled front seats with 20-way power adjustment for the driver. Even in the back seat, passengers can recline seats, adjust them as many as 14 ways, and rule over the climate control. Kia plans on top-notch safety scores, and fits the K900 with blind-spot monitors, a surround-view camera system, and automatic emergency braking. Other features include standard navigation and smartphone connectivity with Apple CarPlay and Android Auto, and remote start. Drivers can choose a big digital gauge display from the options list, as well as a head-up display and a 900-watt, 17-speaker audio with surround sound. 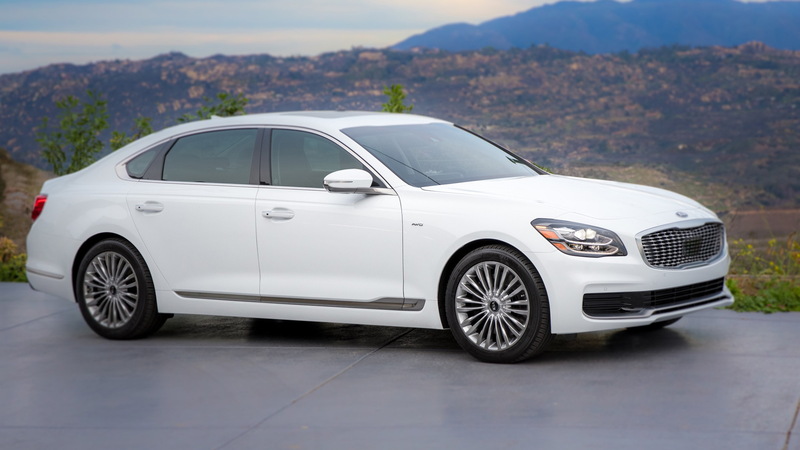 Kia hasn’t priced the 2019 K900, and the EPA hasn’t confirmed fuel economy. Sales begin late in 2018.